You probably have a wireless network at home, but for some applications a wired connection is still more reliable. 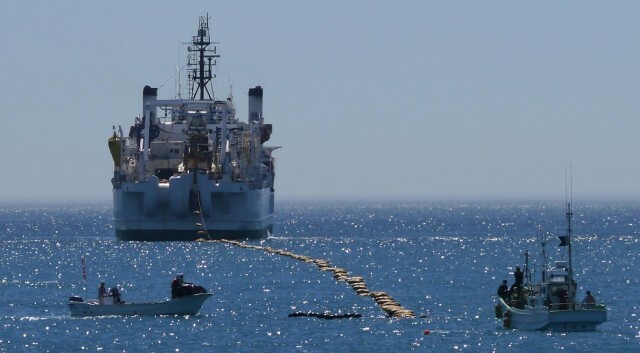 It’s the same in internet backbone communications satellites help keep the world in sync, but the best connections across the globe rely upon undersea fiber optic cables. 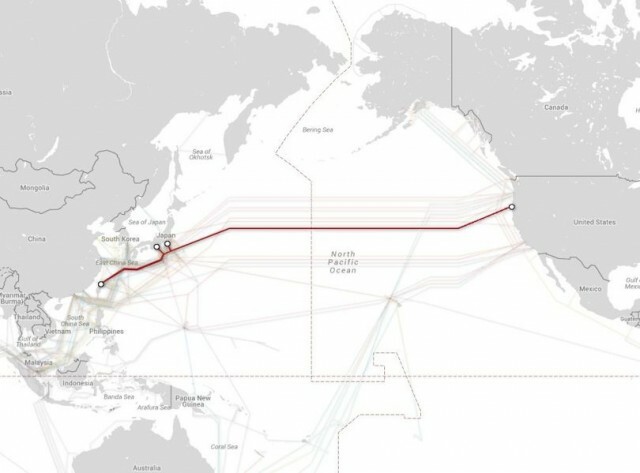 A new undersea cable constructed with Google’s backing has just gone online linking the US west coast with Japan. The cable, which has the fitting name “FASTER,” can transmit 60 terabytes of data per second, more than any other active undersea cable. It’s about 10 million times faster than your home broadband connection on a good day. The new cable will benefit users near one end or the other when they need to ping a server on the other end. It doesn’t boost their own bandwidth, but it could allow them to take fuller advantage of it. FASTER also includes an additional connection from Japan to Taiwan, which has 20 Tbps of bandwidth and is owned completely by Google. Google joined this ambitious construction project back in 2014 when it partnered with five other companies: NEC, China Mobile, China Telecom, Global Transit, and KDDI. The project has cost about $300 million to complete, but it will offer huge speed increases for data transmission between Asia and North America. Google’s participation in the project guarantees it 10 Tbps of dedicated bandwidth on the FASTER cable. Google is also planning to launch its Google Cloud Platform East Asia in Tokyo this year. The dedicated bandwidth from FASTER will result in faster transfers and lower latency for its customers. FASTER stretches some 9,00 kilometers (5,592 miles) across the ocean. The US end is in Bandon, Oregon, and the Japanese end plugs into Shima and Chikura. The US cable location places it very near to Google’s data center in The Dalles. FASTER uses six fiber pairs to push all that bandwidth using 100 different wavelengths of light. Every 60 kilometers, there’s a repeater that re-energizes the data to ensure no data is lost along the way, according to Google’s senior vice president of technical infrastructure Urs Hölzle. This cable might be the speed king right now, but that won’t be the case for long. Earlier this year, Microsoft and Facebook announced they would be laying a cable from the US to southern Europe with a capacity of 160 Tbps across eight cable pairs. I guess Google will just have to limp along with FASTER.